If you’re looking for the job of an insurance agent in Bangladesh then why not complete reading the entire content? In order to provide the link between clients and insurance companies, insurance agents are regulated, independent intermediaries. Making informed choices in their best interests, they can work on behalf of clients as agents, arrange contracts or act as independent advisers who help clients. Apart from these, they also advise clients on the most suitable companies and types of cover along with what would be a fair price. While carrying out surveys and negotiating cover, the cases that are complex can involve presenting reports to insurance underwriters. Moreover, as they are specialized in this work, they also advise clients on the claims process. And insurance agents may be involved in various administrative duties depending on the nature of the business. Those who have gained experience as sales agents, they can advance into senior sales and management positions within their agency or brokerage. And there are some agents who have become successful working independently while running their own agencies. You can get volunteer experience that can be an asset in your job search because success in sales depends on making connections in your community. You may be able to build experience by completing an internship or taking a related job in the insurance field if you’re unable to find a job right away. Also, you may undertake many of these roles as part of your job in smaller firms. But, these may be very separate roles, only reached through promotion in larger firms. You can enhance your job prospects while taking two or four years to earn a college degree. Also, you can become an insurance agent after completing only a pre-licensing course in many cases, which can take several days. When you’re going to join for working an as an insurance agent in Bangladesh, you’ll usually need to start as an insurance technician, junior account handler or trainee broker and work your way up. When you’re working as an FA (Financial Associate) to BM (Branch Manager) of a branch you’ll have to get your commission and incentives only. As there is no probation of salaries for the Bangladeshi insurance agents, you have to plan your selling strategies so that you can get an expected salary. For example, if you can sale 28 life insurances for the first year then you can earn about BDT 3, 36,892. And if you can sale 28 life insurances for the first year then you can earn about BDT4, 25,352. On behalf of insurance companies, insurance agents sell insurance policies to customers. As they want to help customers determine which policy best suits their needs, they must be familiar with the types of policies their agency sells. In order to locate and attract potential customers, they should also have strong sales, marketing, and customer service skills. Life insurance, health insurance, automobile insurance, and liability insurance are some types of insurance that the Insurance agents may sell. While those who work for brokerages sell policies from a variety of insurance providers who work for an insurance carrier sell policies only from that agency. 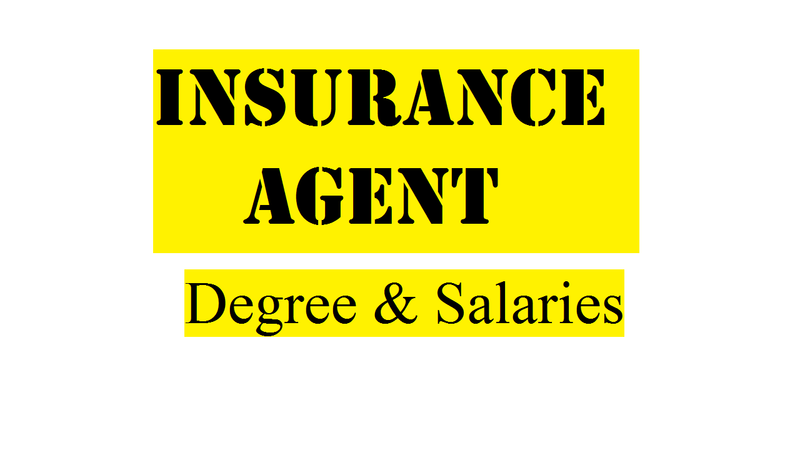 Well, let’s know some steps that are essential to becoming an insurance agent in Bangladesh. A degree in accounting or finance, business, management, economics or mathematics may be useful, but you don’t need a specific degree to become an insurance agent in Bangladesh. The employers generally search your skills and personal attributes and what you can contribute to the role more than an educational qualification. It’s also true that some of the large insurance brokers offer structured graduate training schemes. And it’s possible to start working in this sector without a degree as a junior or trainee broker role or as an insurance technician. After gaining experience and insurance industry qualifications, you can progress to the role of the broker. Also, you have a chance to get entered here as an apprentice. But, if you have a good understanding of the insurance industry then employers usually provide training in insurance-related legal issues. It’s a good idea to visit one of their recruitment events to speak to employees and find out about what they do and what they’re looking for if you’re interested in a particular company. All types of educational backgrounds are accepted for the insurance agents. Although agents can qualify for jobs with only a high school diploma, some employers prefer a college degree in many cases. Most companies require agents to complete a training course while there is no one degree that is required for insurance sales agents. As they apply to the type of insurance they want to sell, students in pre-licensing courses learn about insurance ethics, different types of insurance policies, and some laws. After getting hired, new insurance agents often receive on-the-job training from their employer. They not only learn about the types of insurance products their agency sells but they also receive training in sales strategies and may be matched with a mentor with experience in insurance sales. At large firms of brokers, training may be offered through structured graduate training schemes. As this generally includes attachments to a variety of departments in both technical and client-facing roles, training usually includes courses covering the technical aspects of booking.